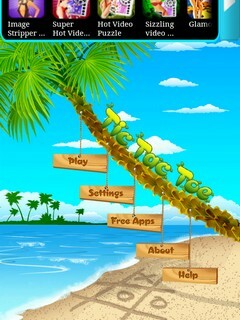 Now play the classic game of Tic Tac Toe in your mobile! Save Trees, Save Paper! 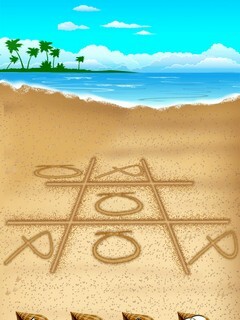 Now play the classic game of Tic Tac Toe in your mobile! Play against a beautiful calming backdrop of the glittering deep blue sea, the white glimmering sandy shores and the big palm trees swaying with happiness! This game is sure to cheer you up every time you play it! 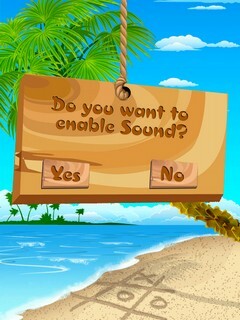 Enjoy the beachy feel of the game or choose the camera option to play against the background of where you are! Now you can walk while you play without the fear of tripping on something or falling down! The camera option will enable a live view of the street where you are walking. 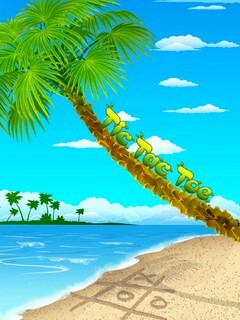 Tic Tac Toe is a 2 player game where each player take turns marking the spaces in a 3×3 grid. You can play with a friend or even against the mobile. The player who succeeds in placing three respective marks (Xs or Os) in a horizontal, vertical, or diagonal row wins the game! 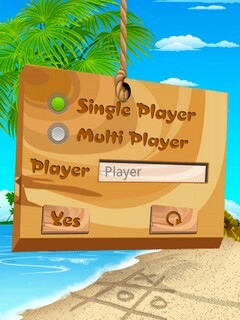 No need of a pencil and paper just play it on your mobile, anytime your heart desires!